Former Chelsea and Tottenham Andre Villas-Boas has questioned Real Madrid's decision to sell five-time Ballon d'Or winner Cristiano Ronaldo over the summer. Portuguese star Ronaldo made a surprising move to Serie A side Juventus in a €100 million transfer over the summer. While the former Manchester United man has revealed his reasons for leaving, Villas-Boas is still baffled at the fact that Los Blancos side let him go. The former manager is currently involved in motorsport, having raced in the 40th edition of the world-famous Dakar Rally. However, the Portuguese has expressed his plans to make a switch to a coaching role in Germany while also admitting that he has considered the Serie A as well. Amid rumours of a potential move to Italy, Villas-Boas has now expressed his confusion over Real Madrid's decision to sell Ronaldo. Speaking to Corriere dello Sport, he said, "It totally surprised me. How do you sell Cristiano for 100 million? It does not make sense from any point of view: neither sport nor economic." “Congratulations to Juventus for the blow they were able to make." On Juventus' Champions League prospects, he added, "I do not say that they are the number one favourites, but now they have a champion that will make the difference." He also admitted that Italy could be a potential destination for him besides Germany saying, "I'm not in a hurry and will wait to see what's going to happen during the season." "Italy obviously interests me. From a tactical point of view, it is one of the most difficult championships. In the future who knows?" 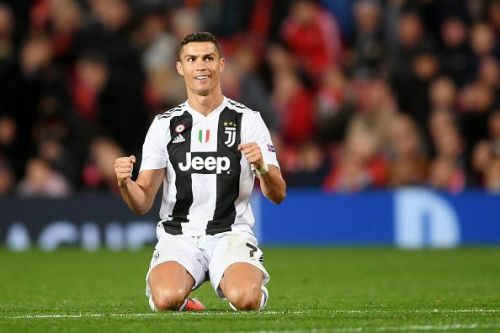 Ronaldo has scored nine goals in fifteen games for the Old Lady of Turin so far this season and will return to Serie A action on November 24. Cristiano Ronaldo transfer saga: Bargain of the century?